This story originally appeared in Wine Industry Network. David Parrish is always one step ahead. He owns vineyards in Paso Robles. He is a winemaker. He is a trellis designer. He has developed a shade cloth. He holds more than 20 patents. “He is constantly moving and shaking, coming up with ideas for a new adaption. He has woken up from dreams with new trellis ideas. Who dreams about inventions?” marveled his daughter Cecily Parrish Ray. 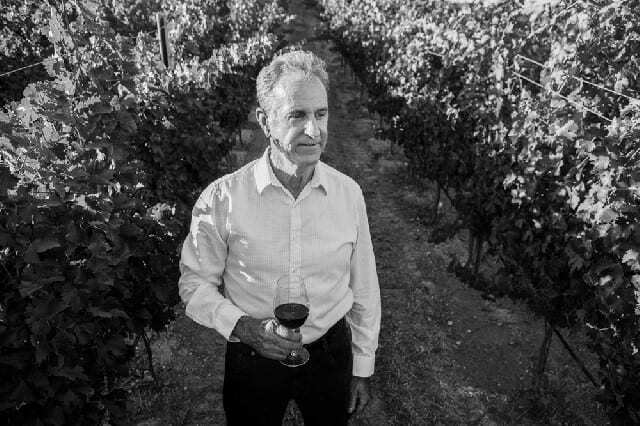 Parrish was raised working on his grandfather’s 740-acre vineyard in Atascadero. He attended UC Davis where he graduated with a degree in Biology and minored in Chemistry/Math. While studying at Davis, Parrish also took courses in winemaking. After graduation in the 1970s, he began working with trellises for fruits and vegetables. The head of the UC Davis Viticulture Department Dr. Mark Kliewer contacted Parrish regarding a research project for different trellis styles in the wine grape industry. After a successful 5-acre trial, Parrish began working with Robert Mondavi, and others, in Napa, designing trellises. In 1995 Parrish started his first vineyard in Creston, 15 minutes southeast of Paso Robles. He designed his own trellis system for the 40 acres of cabernet sauvignon which include four different clones grafted on two different rootstocks. 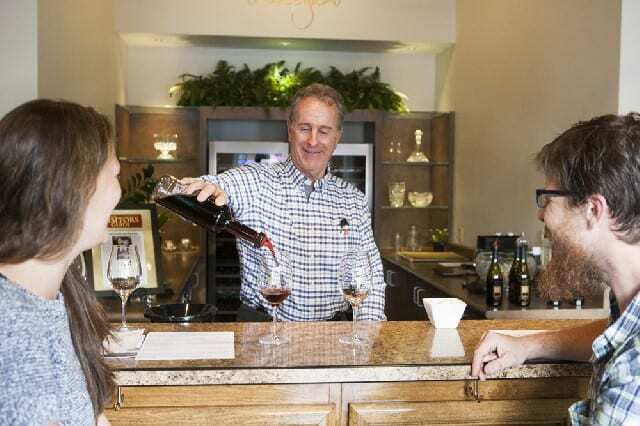 After selling the grapes to Napa producers for almost a decade, Parrish decided to start making wine and in 2005, the first Parrish Family Vineyard wine was produced. Today they also own a vineyard in Templeton and one in Adelaida and are producing 1500-1800 vines annually. They recently opened a new winery facility and anticipate a new tasting room on the Adelaida property to open this year. 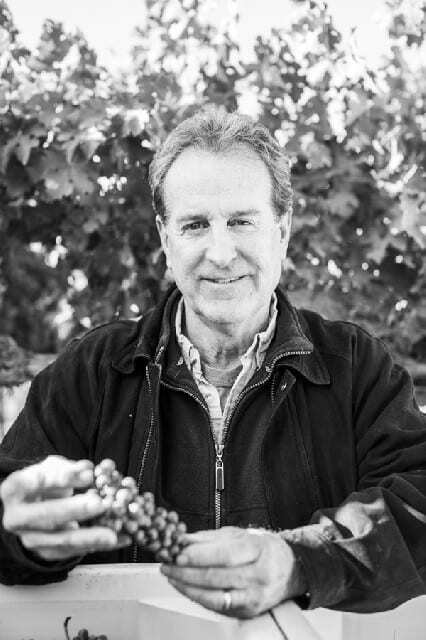 While trellising might be Parrish’s greatest legacy, followed by his wines which reflect the work he has done in the vineyard, he continues to innovate and stay ahead of the curve. For the last decade, he has been working on a white shade cloth that helps protect the grapes southern side while reflecting light from the northern side, enabling more balance in the ripening. The white shade cloth has been in use for a few years and 2017 was the first year that Parrish used it in his own vineyard. Never one to settle, Parrish is already working to make an even better cloth this year. In addition, Parrish has been involved in the creek restoration business. After purchasing the vineyard on Adelaida Road, he noticed the faint line of a creek. He worked with a local team and learned that it was part of Adelaida Creek. They cleaned it up and planted new native plants to help prevent runoff and erosion when it rains. Instead, they capture the rain waters and fill the aquifer below. Parrish then donated the portion of the creek to the San Luis Obispo County who are offering tours to educate others about water conservation. Always looking for the next innovation, Parrish is also the distributor for a new type of wind machine called the Tow and Blow. Not wanting to use water for overhead frost prevention and sensitive to the sound most machines make, Parrish found this quieter mobile system in New Zealand. It can be moved from vineyard to vineyard for frost protection and evaporative cooling. Staying ahead of the curve, David Parrish is continually looking for ways to improve the quality of the grapes in the vineyard. He will never stop as there is always something to tweak or adapt or advance. Read the original story in Wine Industry Network. This entry was posted in Lifestyle, Wine and tagged Cecily Parrish Ray, David Parrish, Parrish Family Vineyard, Paso Robles, Wine, Wine Industry Advisor, Wine Industry Network, Wine Industry Network Advisor, Wine's Most Inspiring People, winemaker, winemaker profile by Allison Levine.